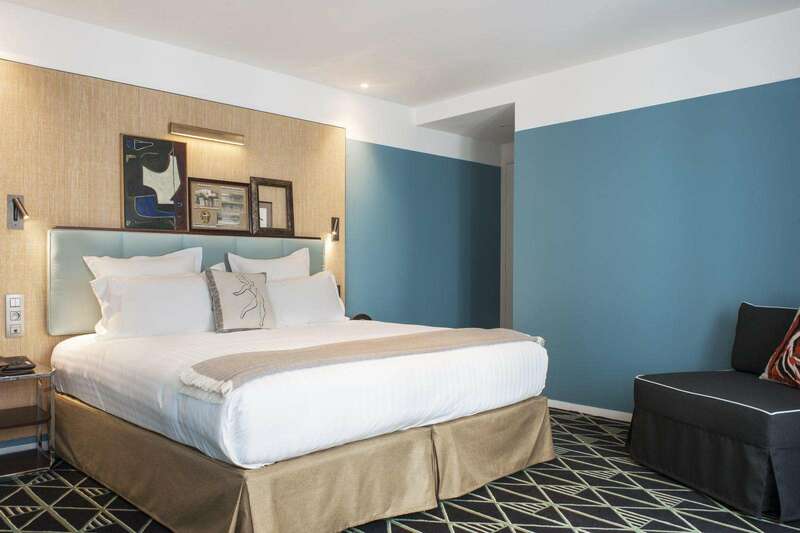 After extensive renovation and refurbishment, the new-look Hotel Eiffel Blomet is ready to welcome you. The hotel is just a few steps from the Eiffel Tower and its renaissance coincides with that of its neighbour, the mythical Bal Blomet which re-opens its doors in spring 2017. The latter was known as the "bal Nègre" in its heyday and the famous venue hosted the icons of those “crazy years” when the Charleston was danced to the latest jazz sounds. 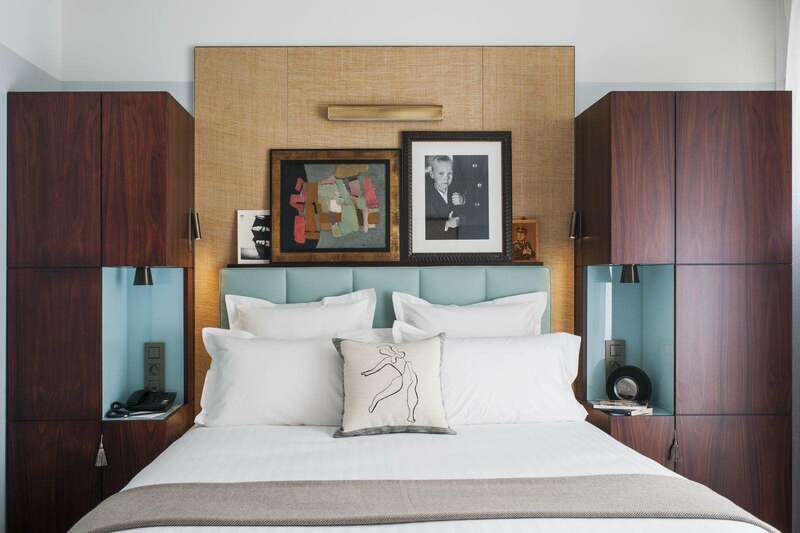 An emblem of the Art Deco style of the 1930s, the renovation of Hotel Eiffel Blomet was organised by a group of 7 dedicated hoteliers working with a team of talented architects. The hotel retains the great tradition of a Parisian hotel of its era; it’s as sumptuous as it is comfortable and welcoming, while still offering an outstanding level of refined and attentive service. In addition to its stylish décor and exceptional level of service, guests of the Hotel Eiffel Blomet will enjoy its fabulous location. 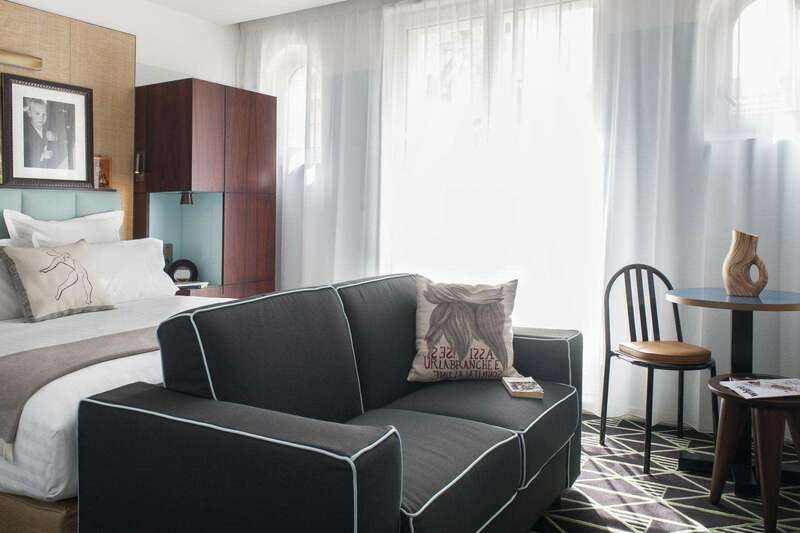 Nestled in the heart of the 15th arrondissement, it is less than 30 minutes on foot to the city’s most famous monument, the Eiffel Tower – it’s lacy iron-work dominates the city skyline. 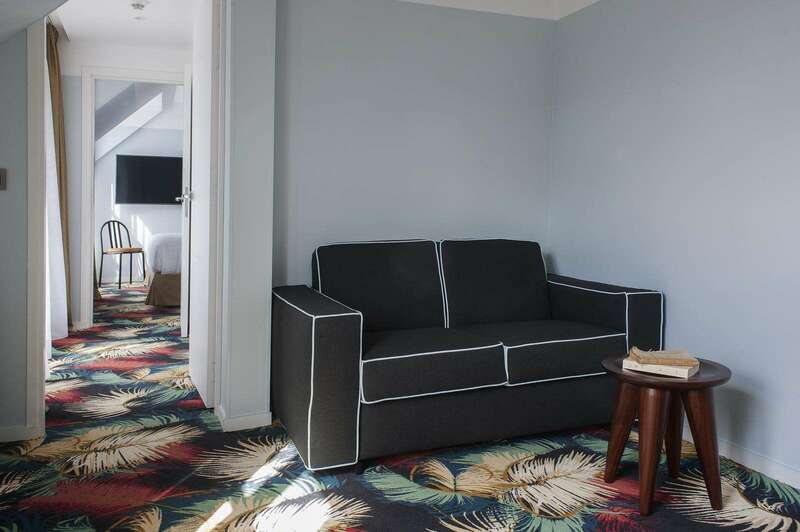 9 Suites, 78 rooms: Whatever your preferences or your needs, the Hotel Eiffel Blomet welcomes you to a stylish Art Deco-inspired environment. 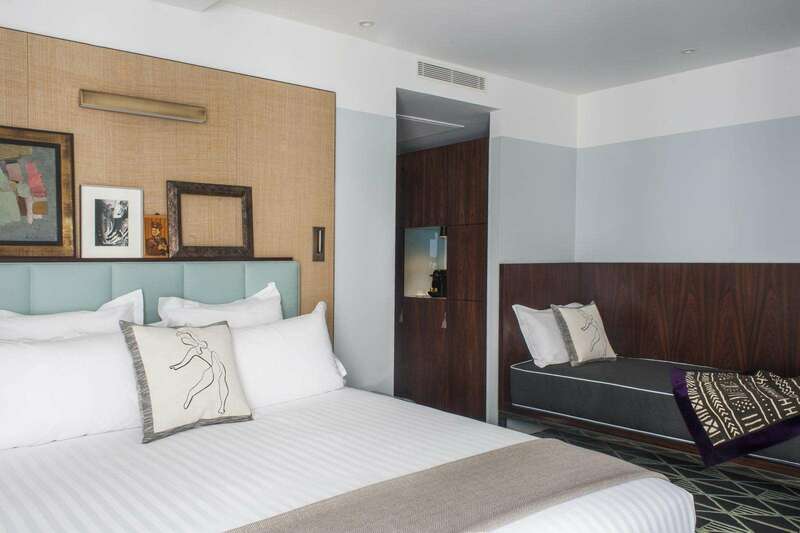 The Art Deco theme is common to all our rooms and public spaces. The work of interior designer Bruno Borrione, to whom we also owe the exceptional interiors of the Prince of Wales and the Royal Monceau, the décor celebrates the spirit of the 1930s with an eye on the contemporary trends of the 21st century. A sumptuous breakfast area, an inner courtyard, a seminar room and a relaxation area organised around a beautiful sunlight-drenched swimming pool await you. Installed under the inner courtyard, our 14-metre pool is bathed in sunlight thanks to the glass panels that form its ceiling - and the courtyard floor. Our seminar room is at your disposal for meetings and professional appointments. The concept is very simple: when it’s time for an aperitif, a drink with friends, a cocktail with your partner – you’re the bartender! Served as a buffet from 7am to 11am, our breakfast will delight the most discerning gourmands. It was a no-brainer! The association between the legendary jazz cabaret venue called the Bal Blomet and our establishment, the Hotel Eiffel Blomet, is a natural one as we cultivate the same spirit and the same passion for the era of the 30s and Art Deco as we do for contemporary creation. Experience the excitement of the Paris Marathon! Each year, people all over the world enjoy coverage of an event in which runners defy their physical and mental limitations and push themselves to glory on the most beautiful avenues of the capital. This year, your Hotel Eiffel Blomet offers you the opportunity to get up close to this great sporting event and see the Paris Marathon live and in person.